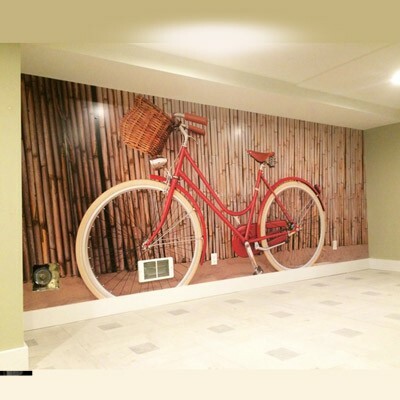 Includes : Wall, Case/Counter w/graphics, Set of 2 lights. 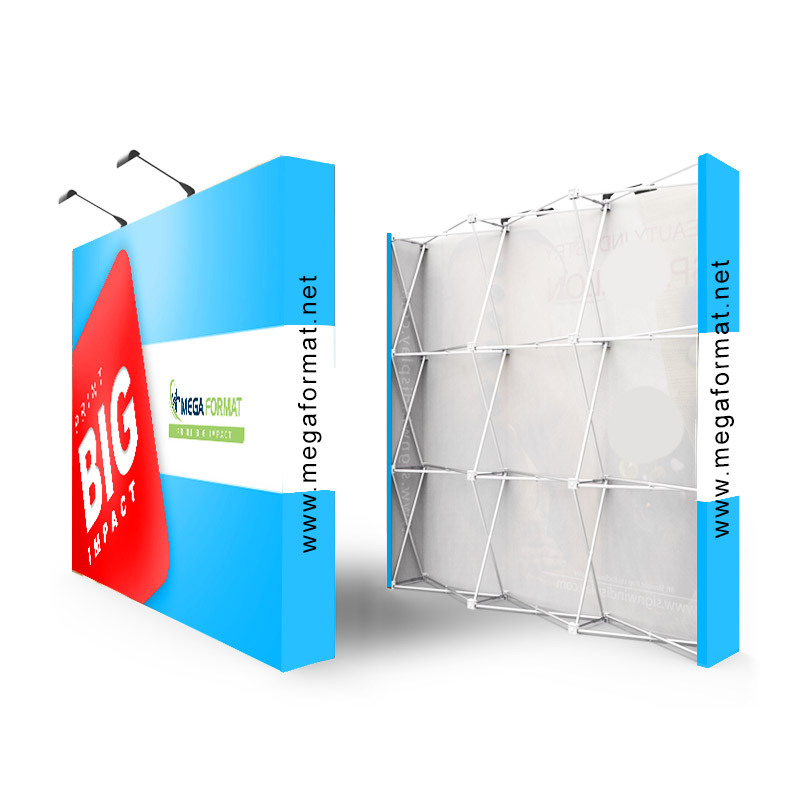 Size: 8 ft. 10 ft. 15 ft. 20 ft.
A successful exhibit booth starts with the right marketing exhibition pop up stands displays which makes a good impact to draw people into your trade show booth space, this expandable pop up display is the right solution to use as a back wall for your trade show booth, the pop up display stand unit is constructed using a collapsible lightweight aluminum frame with locking arms, and are highly portable. 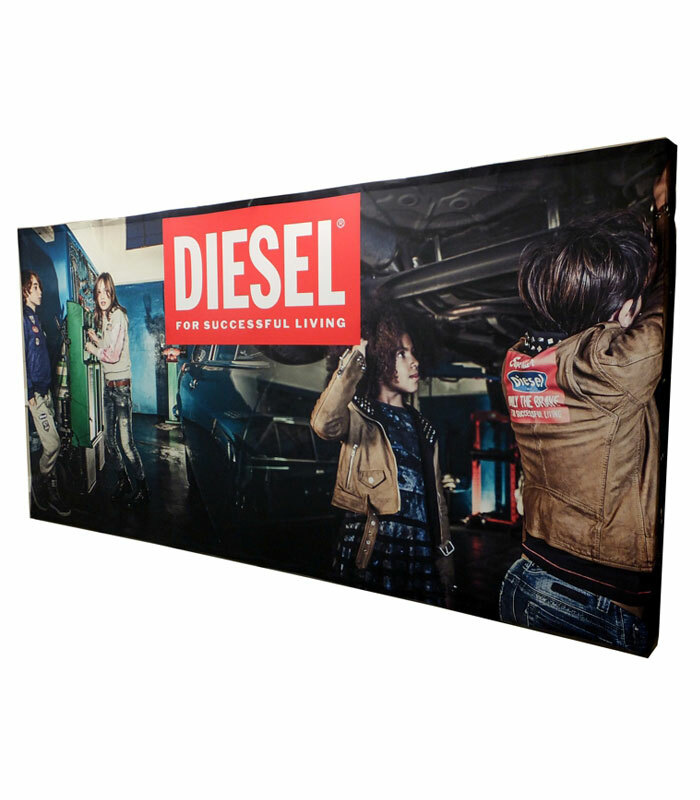 The high-quality graphic printed with dye sub is stretched direct onto the frame and attached with Velcro, the tension frame expand quickly and easily together with the graphic coverings and your tradeshow wall mural is ready in a matter of minutes. 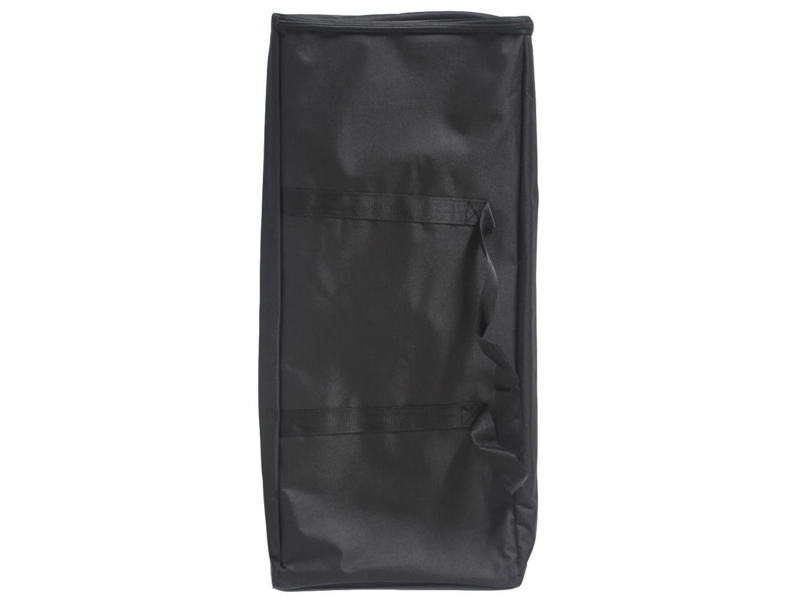 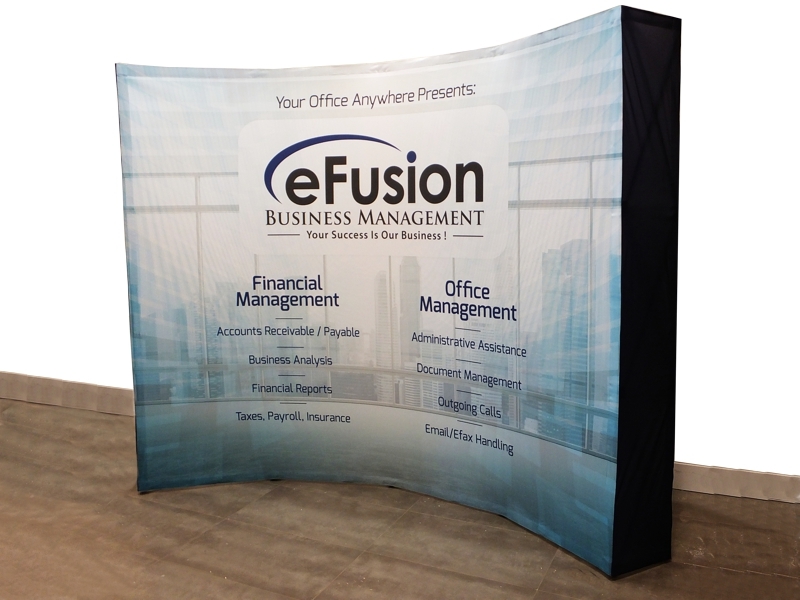 The freestanding exhibit pop up wall display is a highly flexible and portable exhibit option. 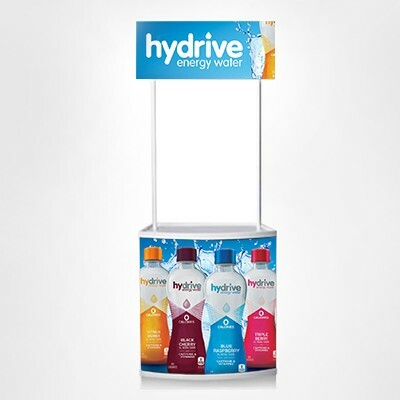 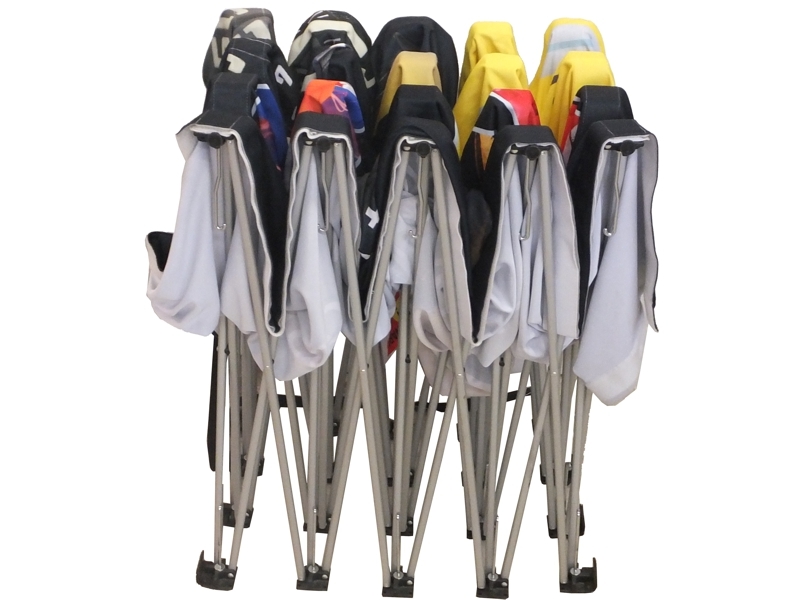 The Trade show Pop Up Display Stand is constructed of lightweight aluminum bars, it is one piece collapses together in a small box and then expands to a big wall unit. 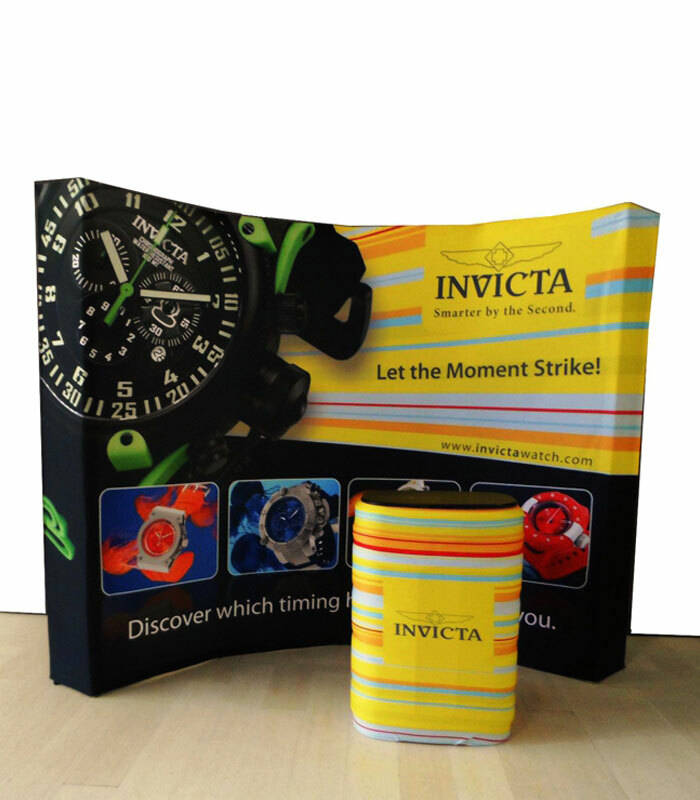 Its that simple you can do it yourself in a few minutes. 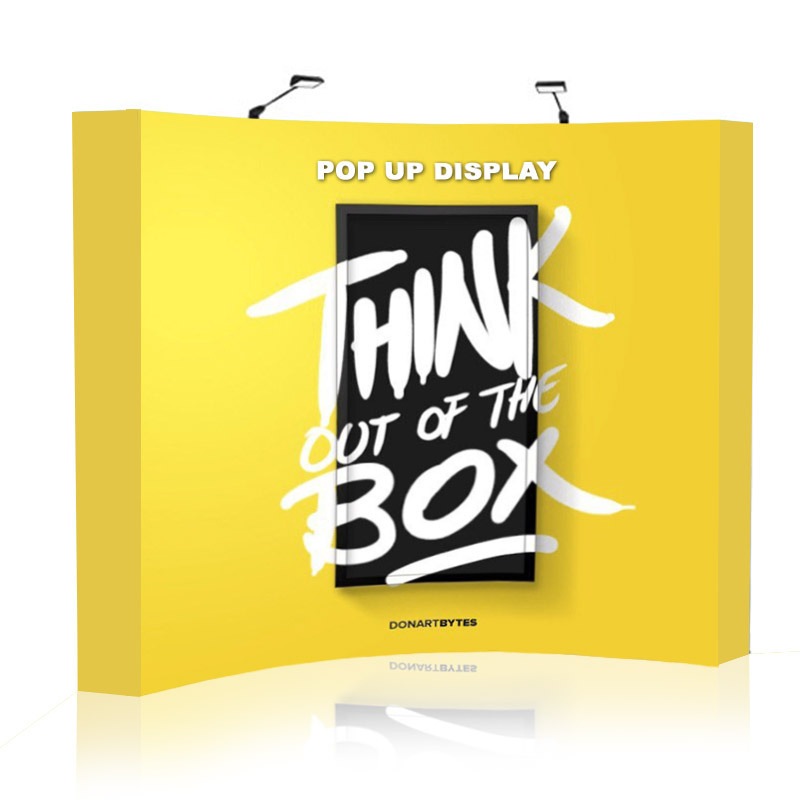 The good thing about the pop up wall display is that you don't have to worry about attaching the graphics to the display unit, the graphics are always attached with velcro and collapse together with the unit, it is printed on soft fabric cloth so it folds very good in the display and when you expend the wall it stretches the graphics and you don't see any marks or creases of the folds. 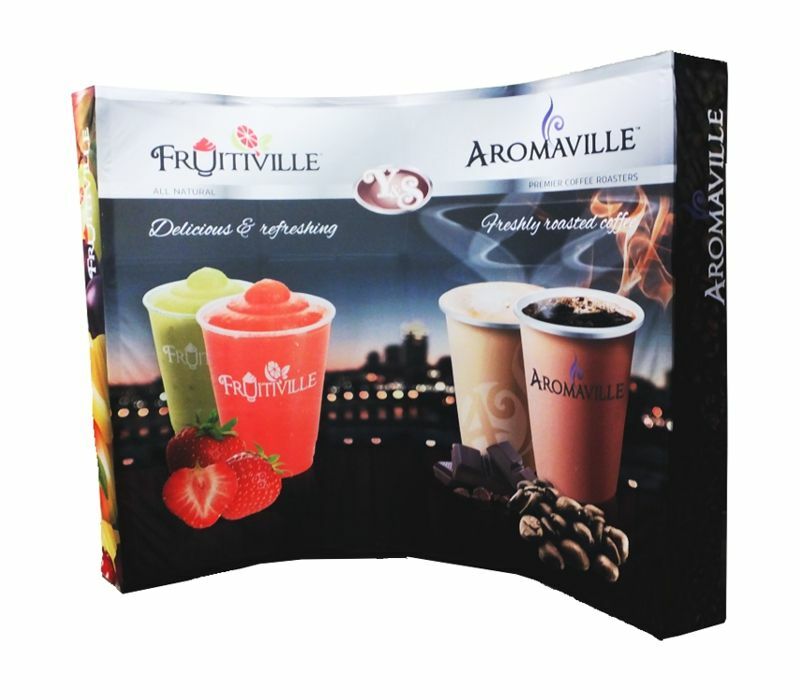 Our tradeshow pop up display comes in a range of sizes to perfectly fit into your booth space, choose your style from straight or curved, the straight pop up stands are perfectly suited for wall shows in tight exhibition areas or when you have other exhibit components, the pop up stand sits flat against the back wall and don't take up extra space while the curved pop up stand gives a more stylish look to your exhibit booth.